Hello Huntington Beach, let’s talk about brakes. Braking, as all California motorists know, is slowing or stopping your vehicle. 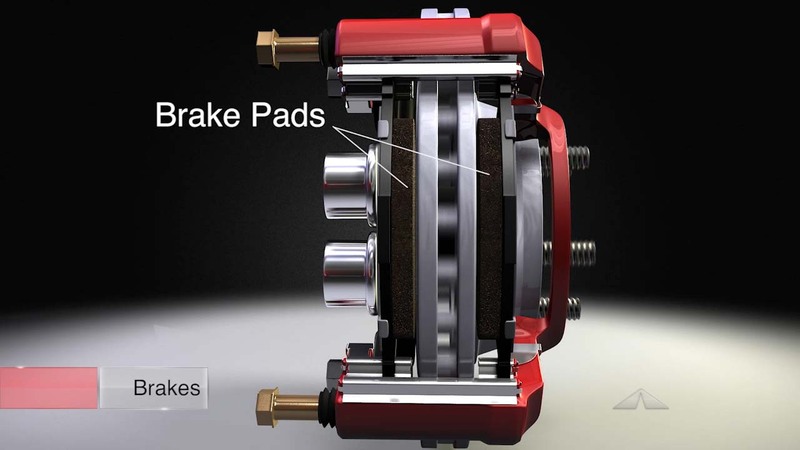 As you can imagine, brakes are engineered to work well on a particular vehicle application. For example, you would expect more powerful brakes on a heavy-duty pickup that routinely hauls big loads and pulls trailers, than you would on a compact car. And a Corvette that can go over 180 miles per hour would have much different braking needs than the family mini-van you drive around between Huntington Beach, Fountain Valley and Costa Mesa. Let’s step back. A new sedan or truck rolls off a local Huntington Beach showroom floor. It has brand new brakes with brand new brake pads. The brake lines and pump are filled with fresh fluid and are completely clean inside. And the tires are brand new, with full tread. It is ready to go. Naturally, braking power is at its peak performance. Now the miles start to add up on the sedan. Huntington Beach motorists tend to focus on the brake pads. In the automotive business, the pads, and shoes on drum brakes, are called the friction material. That’s because they provide the friction used to stop the vehicle. The pads are designed to be effective throughout their useful life – it’s not until they are worn so thin as to be out of auto makers’ specs that they lose their ability to stop. The mechanical parts of the brakes have pistons and springs that get quite a workout while breaking. Over many miles around California, these wear and get gummed up. They start to lose effectiveness gradually and could even fail – a scary possibility That’s why a regular brake inspection at Beach Benz is important for your sedan and your family’s safety. At Beach Benz we can test the operation of the brakes and see if any parts need cleaning or replacing. That leads us to brake fluid service at Beach Benz. Some of the critical additives in the fluid that lubricate and clean the sedan fluid system are depleted over time. That and moisture building up in the system reduce the performance of the brake fluid. A brake service at Beach Benz cleans out deposits, water and dirt. Then the system is filled up with fresh fluid. This is especially important on wet Fountain Valley area expressways and surface streets. Studies have shown that wet stopping distance increases significantly as tires wear down. California motorists need to understand that they can have brakes that are operating at peak efficiency and yet still be in danger because their tires are worn out.